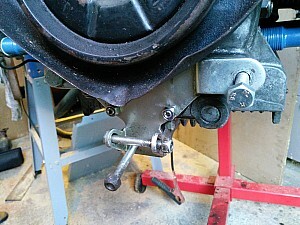 This engine doesn't have the mounts for a bus engine support bar, so I'll need to use an adapter. 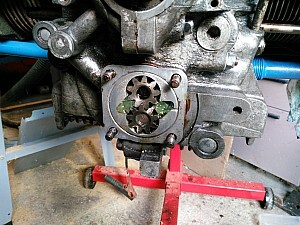 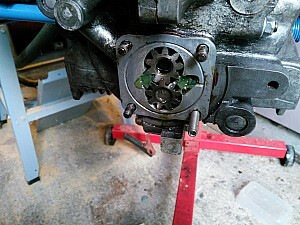 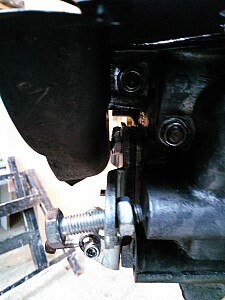 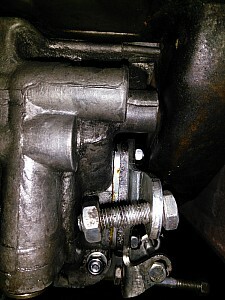 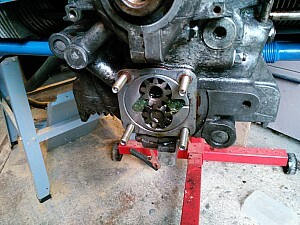 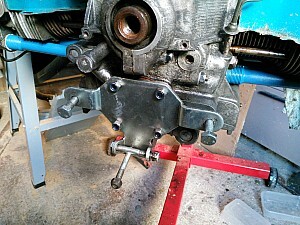 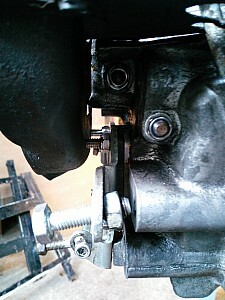 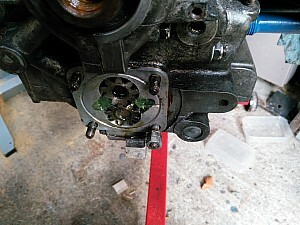 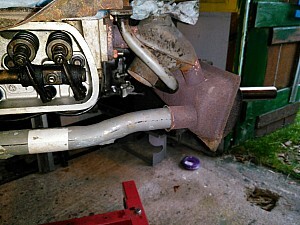 However, I don't think there is enough thread left on the stock studs to make this viable, and just fitting the adapter (without the VW oil cover) looked like it would leak loads, so I fitted longer studs. 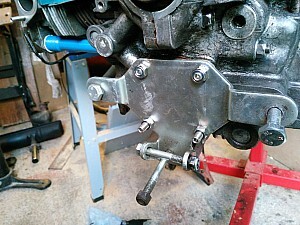 longer stud fitted - these have a handy allen head so can be screwed in. 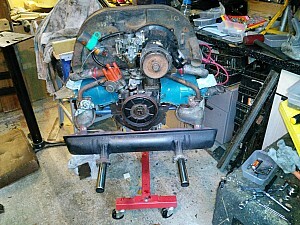 Mounted a lot more solidly now, with Nylocs too. 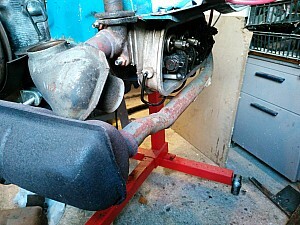 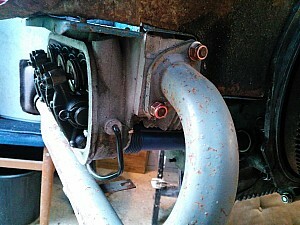 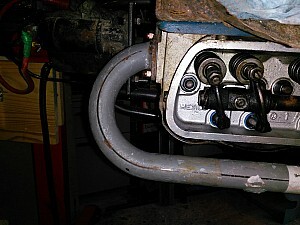 I have a spare engine bar somewhere that i'll offer up to check clearance.